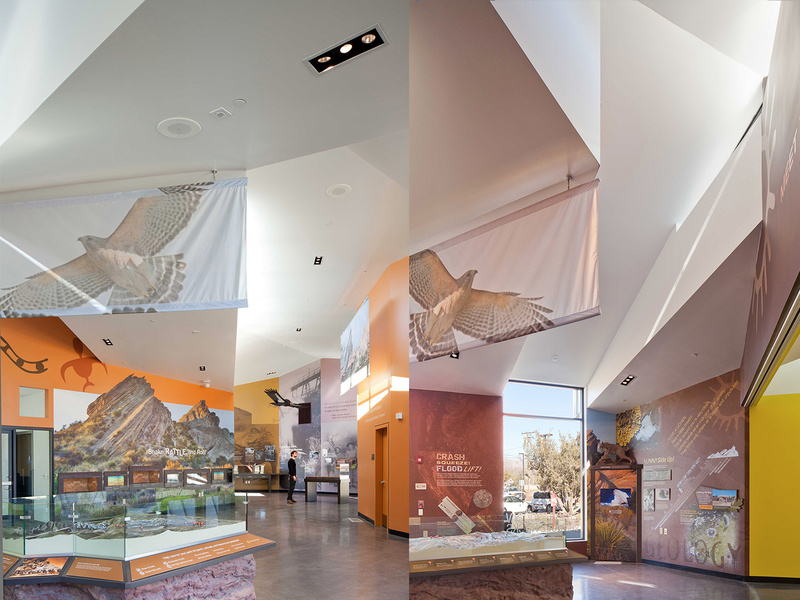 Gruen Associates was the Design Architect and Landscape Architect for the $4.6 million, 4,000-SF Design-Build interpretive center. 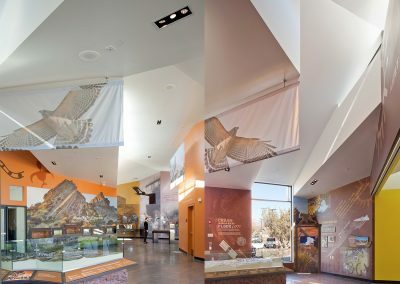 The program was consolidated into a single structure including 2,970 SF of exhibit space/museum, a multi-purpose classroom, staff office, storage and support spaces. 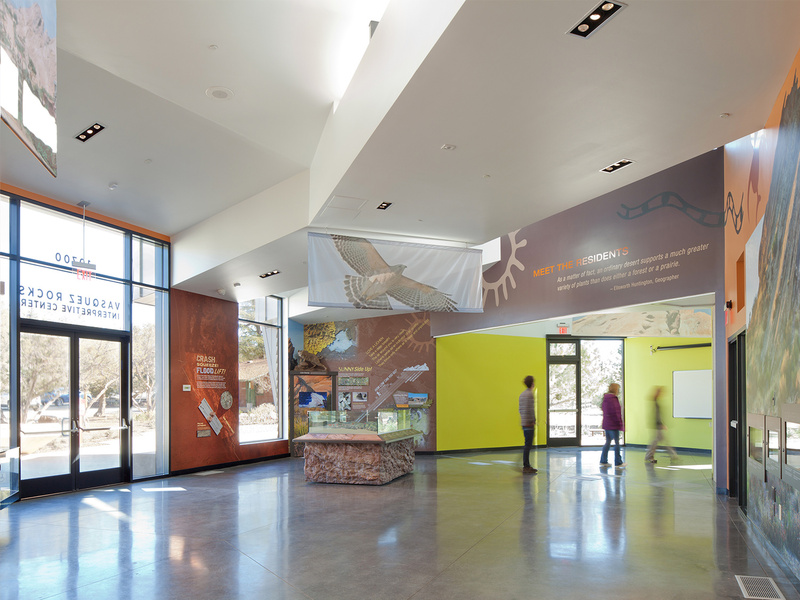 The informative visitor-experience venue focuses on the geographic surroundings and wildlife within the park. 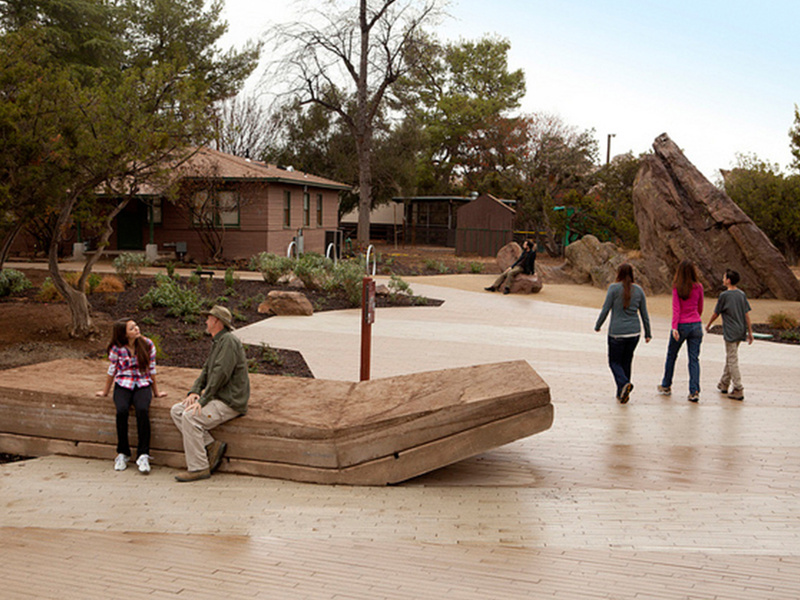 The landscape design considers the native landscape’s ecologically-sensitive environment. 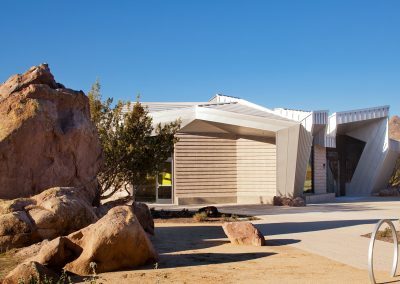 The architectural solution integrates with the existing landscape features and structures through the use of a unifying outdoor entry plaza. 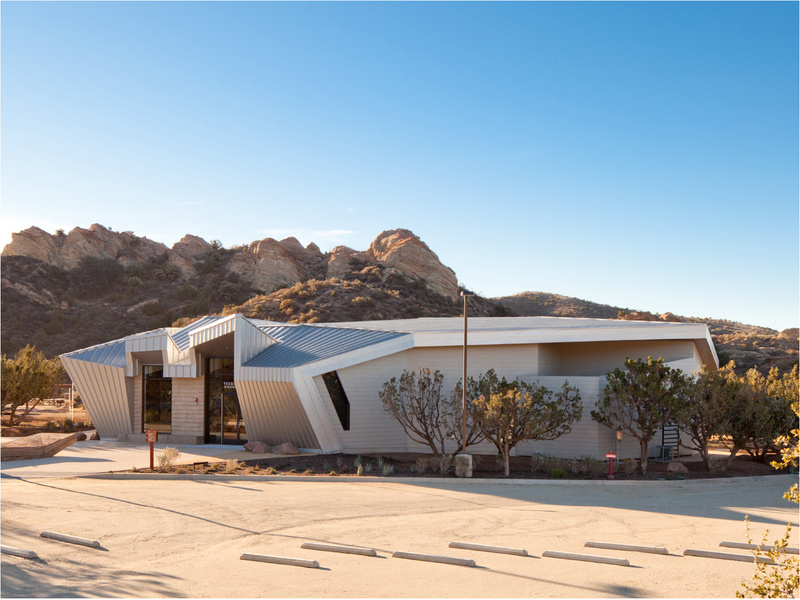 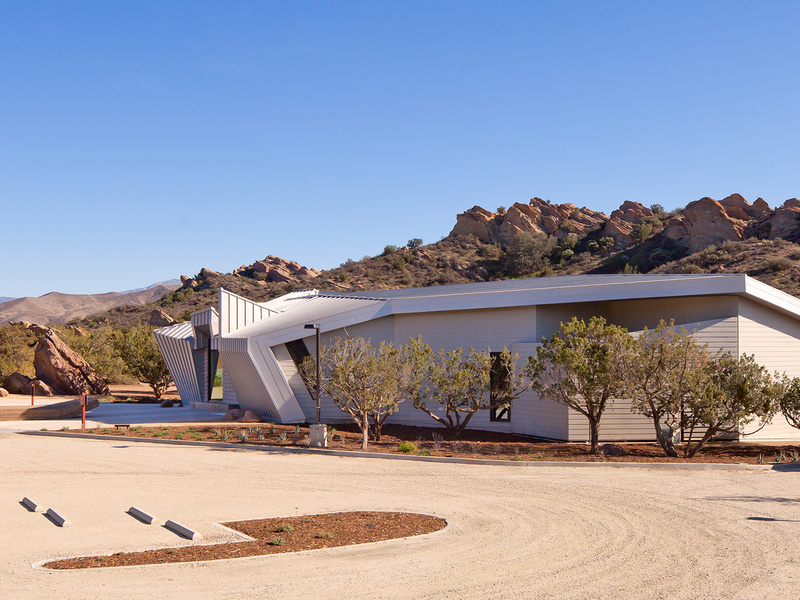 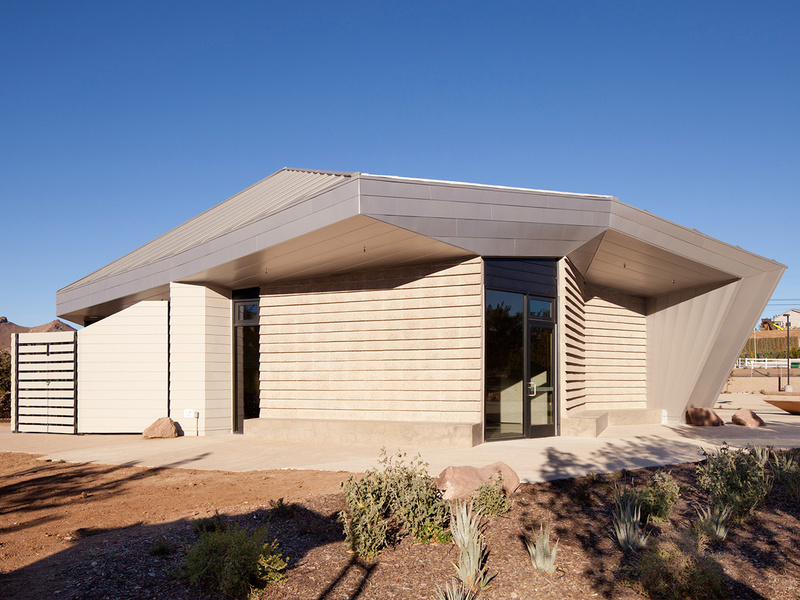 The interpretive center blends into the naturalistic setting of the park by minimizing the impact to its surroundings to create a highly sustainable and efficient LEED Platinum building. 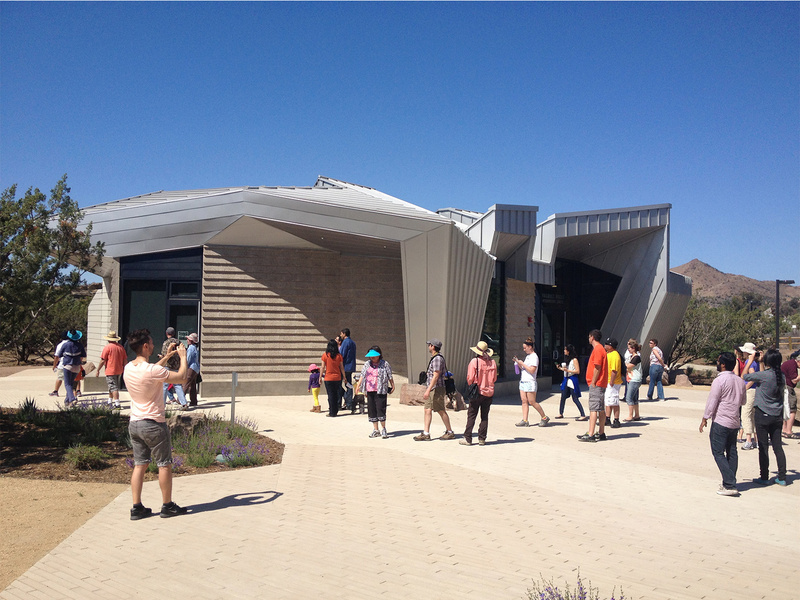 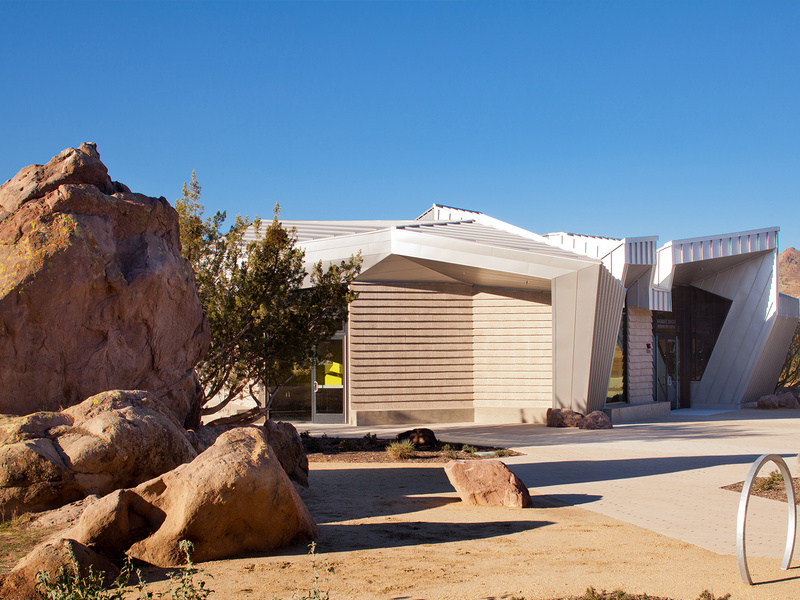 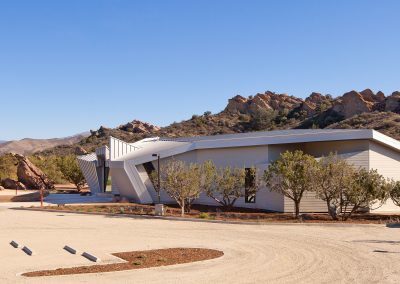 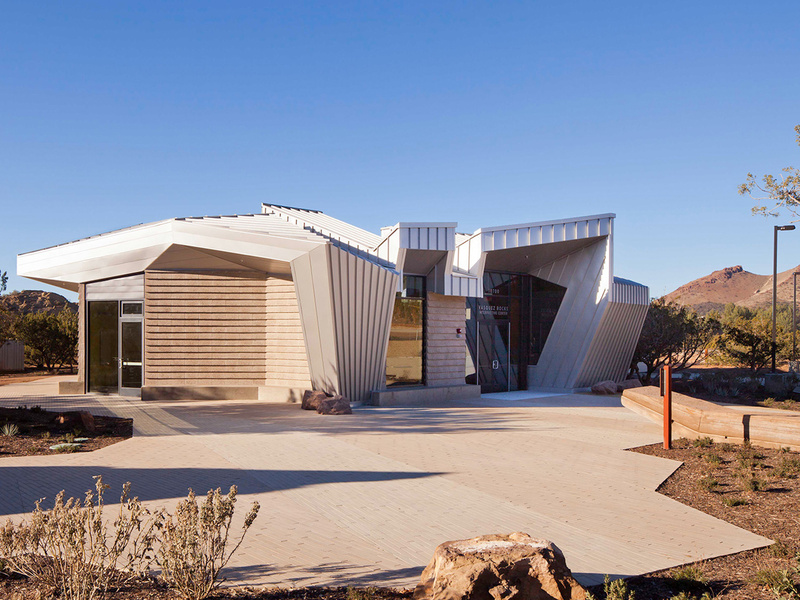 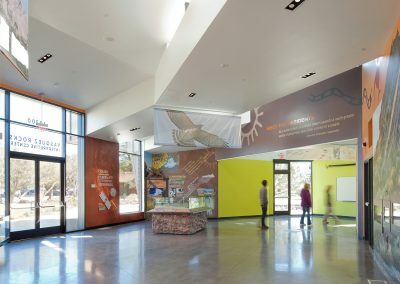 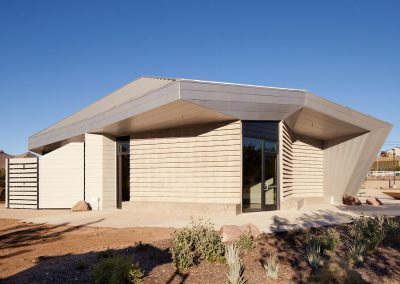 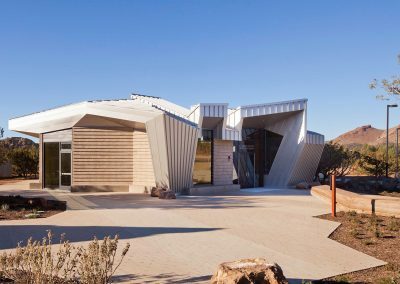 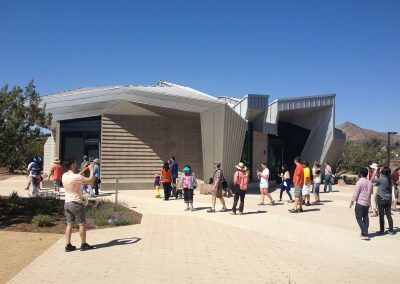 The venue provides a comfortable setting and educational space to observe the natural and living history of the site, Tataviam Indians and present desert community.